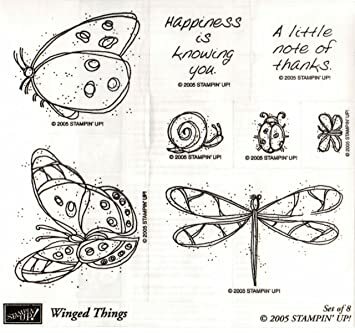 Hooray for today because I get to share my design team “Winged Things” card with you. The Retro Rubber Blog Challenge #01 (RRBC01) is still available for your entries. The “use your oldest stamp” challenge ends Friday, Nov 14th so come on over and play with us. Both of these stamp sets retired in 2007 per the information shared in Splitcoaststampers. Did you notice the large expanse of open spaces within the images? Both of these stamp sets begged for color, and Blendabilities came to the rescue. My next decision was how to display the various images. A box card seemed the most likely choice. Since I had not constructed a box card before, I received personal instruction from Debbie Mageed of Secret Stamper who had the privilege of providing the top sample “Holiday Home at Harvest Time” (which was a box card containing practically a village) in Stampin’ Connection for an entire week. Fold at score lines and cut flaps to the 2-1/2″ score line. Remove the small tab shaded in red. The center piece that allows additional images to be adhered is 1/2″ x 5-1/2″ and is scored at 1/2″ on both sides. Adhere those 1/2″ tabs to the inside middle of the box card. Decorate as desired. Don’t you love the vibrant colors provided by the Blendabilities? Trust me when I say coloring was not my strength in 2006! So I truly did breathe new life into these old stamps by pulling them out of my rather large retired stamp inventory. Cannot wait to complete my project for the next challenge! I hope you enjoyed my flower garden as much as I loved putting it together. Should you have any questions regarding this project, please do not hesitate to let me know. Now it is your turn at the challenge. 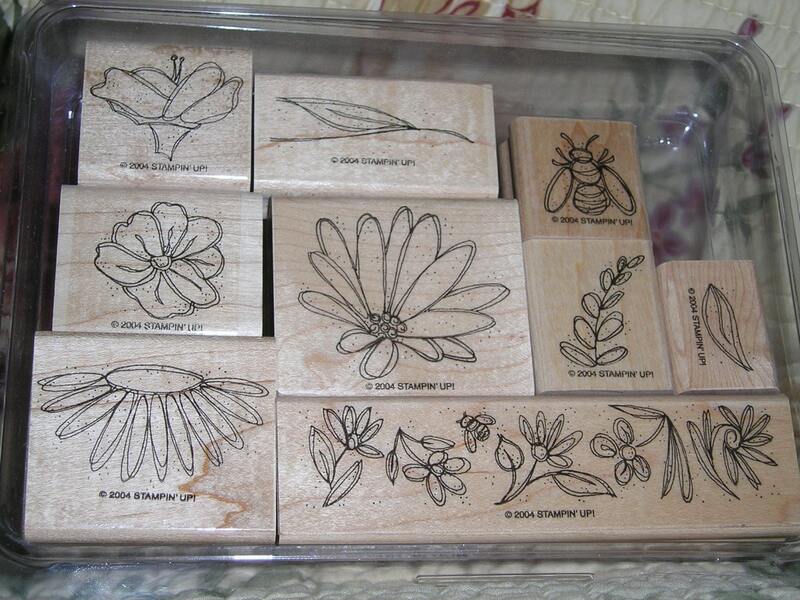 Dig out your oldest stamp set and see how much new life you can gjve it. Head on over to Retro Rubber Blog Challenge and link your project to the challenge. We are looking forward to seeing your creations. Hooray!!! Your absolutely incredible card in a box has made its debut! This is, without a doubt, the most beautiful card I have ever seen! Your talent is inspired as well as inspiring! Katy, thank you for your endless ways to keep me enjoying this wonderful hobby. I just love your projects!! Absolutely wonderful in color and content!! I love the Holiday Season from October through Valentine’s Day, but what a wonder breath of beauty your butterfly garden brings!! Thanks for sharing the directions as well as your craftsmanship! Gorgeous, gorgeous, gorgeous!! Love all the bright, cheery colors you’ve used! I’ve yet to try the card-in-a-box… Maybe I need to! What! This is crazy great!! Beautiful work and thank you for the instructions! I don’t know if I have the patience to do this but you make it look easy! Beautiful!!!!! Katy, your box is amazing!!! What a wonderful project for our first RR Challenge. Wow! this is truly a work of art and the coloring!! wow!! : ) Thank you for the details you gave in sharing your process. stunning and a lot of work!